Marvel released the most awaited movie of the year, Ant-Man and The Wasp. As per the storyline, the movie goes by the return of Dr Hank’s Wife from the quantum force. And outstanding special effects as well as graphics of the movie is done leveraging Dell and their Precision Workstations. The graphics from the shape shifter to the enlarged Ant-Man seems to be so real. 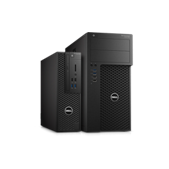 Dell Precision workstations have a legacy of innovation and master technology moves. In a similar fashion, Ant-Man is precise with the targets and tricks. The super power CG animation and graphics done on Dell Precision workstations bring Ant-Man’s moves to life and the visual effects immerse into a realm of imagination, eventually transforming it into reality. Feel the thrill and treat your senses to the binding motions in the movie, Ant-man and the Wasp. It is precision personified. Dell Precision workstations with NVIDIA Quadro M6000 24GB, M4000, and K2200 graphics cards were used in the rendering of the animation. Frame store the animation studio behind the scenes on gravity used the computing power of the Dell Precision tower workstations. Dell Precision workstations provided the team at Double negative with the customised solutions for efficient workflows. Dell Precision T5500 tower workstations, Dell Precision T3500 and T5500 were used in various studio in Berlin, Munich, Frankfurt Germany and China. With the processing power of 1000 Dell workstation backed by Intel processing power, 24GB M6000 Quadro graphics and K2200, M4000 graphic card Sony Pictures image works The New Ghostbuster was produced. Dell Precision workstations are the foundation of virtual and augmented reality content creation. These workstations combine a brand-new innovative and flexible chassis with powerful performance from the latest Intel® Xeon® processors, next generation Radeon™ Pro graphics, and highest performing NVIDIA® Quadro® professional graphics cards. 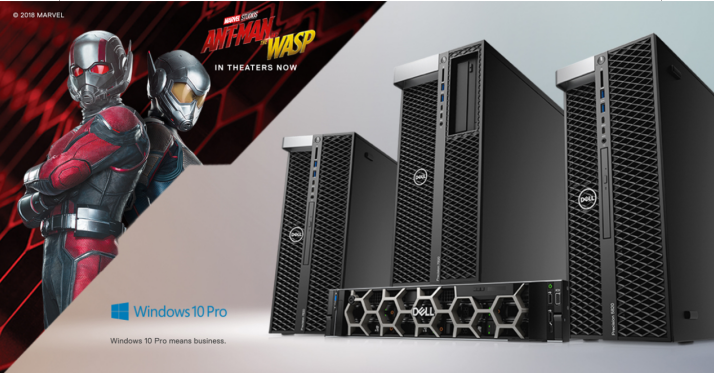 Built for larger-than-life ideas, the powerful performance of Dell Precision workstations were used in the post-production and visual effects of the blockbuster movie, “Ant-Man and The Wasp,” to bring out the spectacular reality to life. With a wide range of scalable solutions, including a 2-in-1, an all-in-one, and mobile, tower and rack workstations, you can handle the most demanding applications across multiple industries. And that’s what makes Precision the #1 workstation brand in the world. Up your game by customizing your workstation with Precision to work on those brilliant designs and push the limits of your own innovation. A Precision 7920 Tower that delivers the highest level of performance and scalability. Backed by the power to keep up with ideas, these workstations combine versatile design and ultimate storage scalability to grow with vision no matter where it takes you. 7920 Rack delivers the highest level of secure remote access with ultimate workstation performance. The new Intel Xeon processor Scalable family powers even the most arduous of tasks. Engineered with the latest dual socket performance, these precision models come with up to 28 crores per processors. Affordable tower workstations for professional performance are available with Windows 10 Pro. Dell Precision 3000 series give powerful graphics options, including AMD FirePro or NVIDIA Quadro professional-grade discrete graphics. Featuring high performance in a new innovative, versatile compact design. 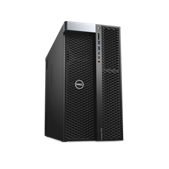 Dell Precision 5820 Tower is perfected to your vision and delivers blazing fast performance. Built for future, these towers grow with your ideas, no matter where they take you.